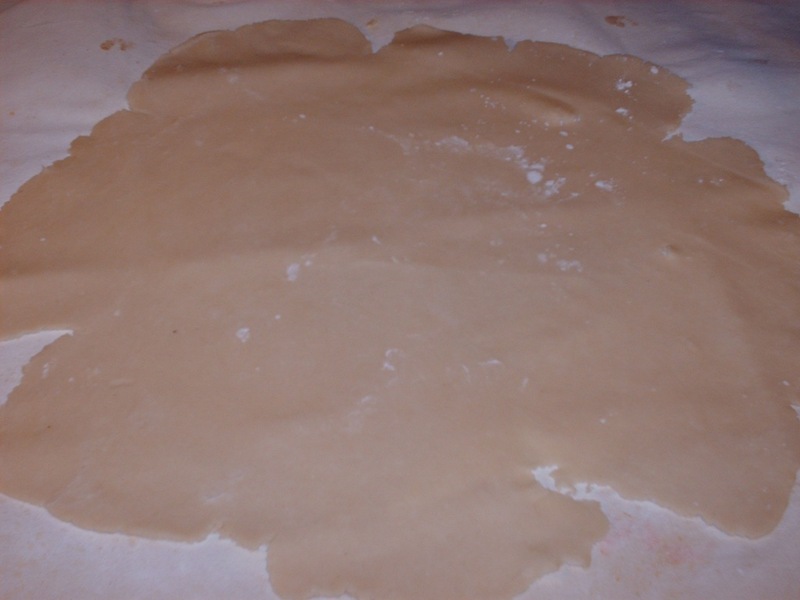 No matter which way you cut it when making pie dough, it takes some form of fat to make a good pie dough. You can use Lard, Butter, Shortening, all fats. However over the years the best pie dough’s and crusts with the nicest brown flakey crusts seem to come from the use of lard, with that being said the on tired and true extra ingredient is cider vinegar. You may think that the use of an acid like vinegar in a pie crust is just some old wives tale passed down over generations, NOT SO, when you add water to flour it causes the gluten in flour to start forming, while great if you are making bread, not good if you are looking for nice flakey pie crusts. 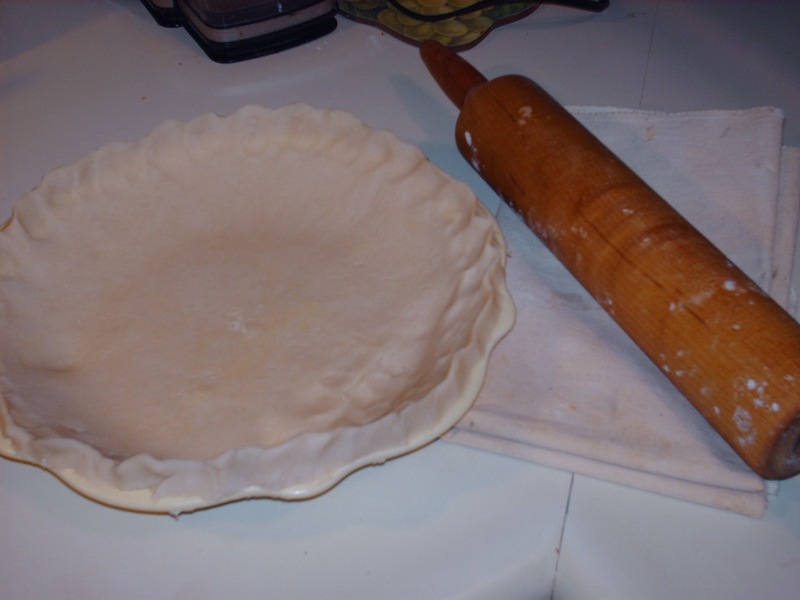 What vinegar does in a pie crust is add acid to it, this acid helps to relax the dough in combination with the lard, butter or shortening you are using which in turn slows the formation of gluten. DO NOT OVER WORK your pie dough!! When you add the fat to the flour it should be cold, using a pastry blender and chopping down into the flour/ fat mixture just blends it enough but does now knead or work the dough, then adding the liquid you want to just mix enough to form a nice soft workable ball, the heat of your hands will quickly start breaking down the fat. this is why it is very important to wrap the dough in plastic wrap, and place in the refrigerator to chill (if in a hurry the freezer) but watch it. so that it does not freeze, not bad for the dough, you can make it up and store in the freezer until ready to use, however you will need to thaw it. Please don’t feel bad if your cannot roll a pie dough into a perfect circle, I never could, however it just does not make a difference in the end product, With the scraps you have left you can make into a ball again and roll out (the end result will be tougher crust) however what we do with this is make a Poor Man’s Pie. You can even line a pie pan with the scraps instead of Rolling out., that recipe will follow also. 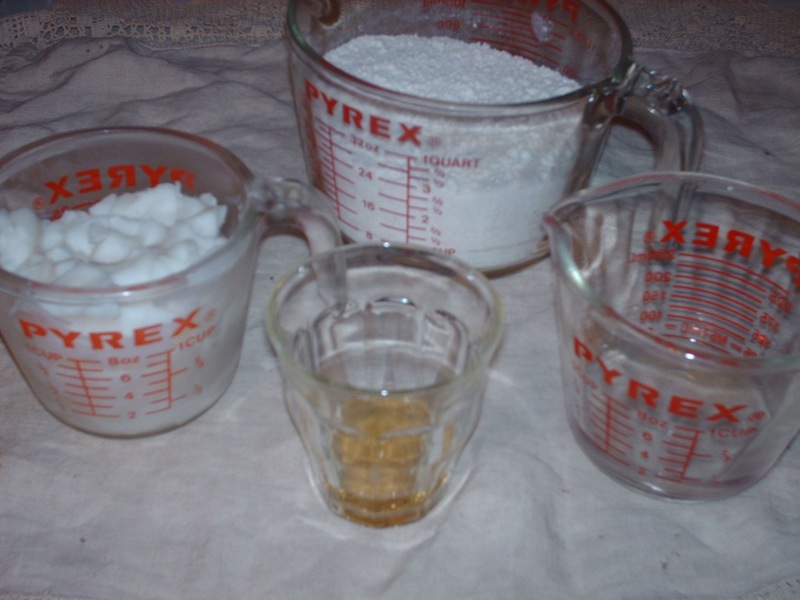 Place flour in mixing bowl, cut in shortening with a pastry blender or if using a kitchen Aid, just pulse the mixture until it resembles meal or small grainy texture, Adding your ICE WATER, and your vinegar, 1 tablespoon at a time and pulsing mixer or using pastry blender until the dough starts to form a manageable ball. (This does not take long and the amount of water will vary) you get a feel for this after doing it for a while as to what just feels right. I pat the ball down into a circle with the palm of my hand so that it is flat on the top, then just start rolling in all directions. A pastry cloth is an invaluable accessory for this in the kitchen as well as for biscuits. I am not much of a baker but for the holiday’s I like to bake pies for my family. I, like you, prefer the flavor of lard instead of shortening. However, I find I have trouble with the crust keeping it’s shape during baking due to the lower melting temp of the lard. Do you have any tricks or adjustment that you use when working with lard? Lovely site and wonderful recipe. 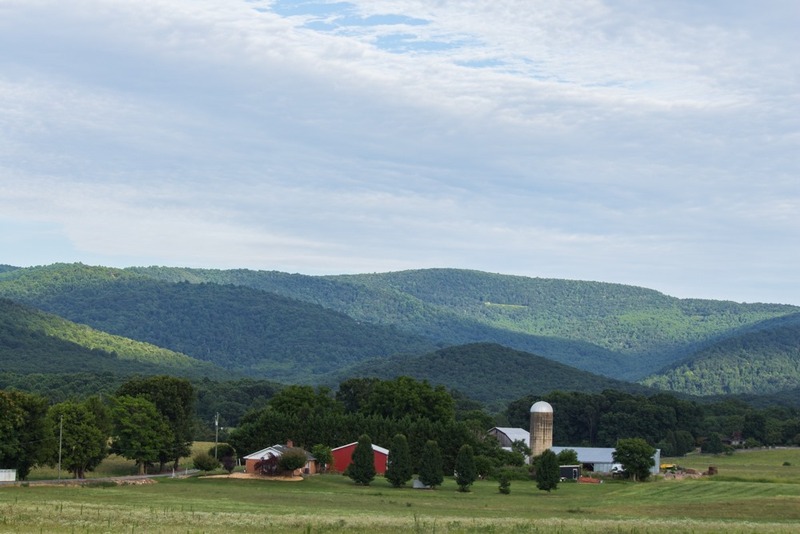 I have a great fear of making pie crust but I am going to face my fear and make your recipe for an apple slab pie I am making, thank you for the recipe! What a nice looking pie crust. Since I have several dozen to make at the end of Oct. are you up to helping? We are cooking and serving a 7 course meal to 60 guests… Easy as pie. a favourite way with making a short pastry I grew up with is to use lemon juice with the small amount of water – even replacing the water with wholly lemon juice. And now I learn from you about the usefulness of an acidic liquid in making pastry.